This edition of I’m Listening brings men into the equation and focuses on the mental wellness of all parents. It is my hope that we will switch our language to be more inclusive and I prefer the term parental mental health. 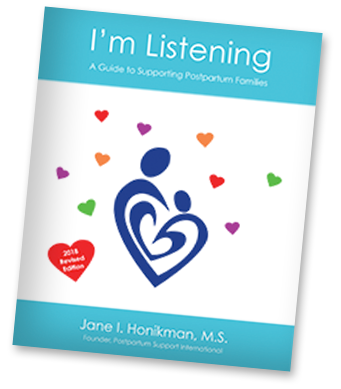 Attend a Postpartum Action Institute Workshop in Santa Barbara and meet Jane. PAI is created for individuals who are committed to confronting the stigma of mental illness and the mythology surrounding new parenthood. 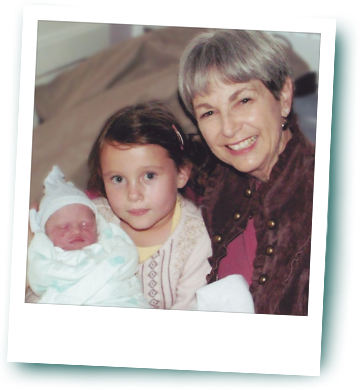 I’m a mom and grandmother who understands how you may be feeling. I want to offer you support because no one was there for me when I went through this, and I want you to have a better experience. My focus is to listen to your stories and validate your experiences and feelings. My primary goal is to acknowledge and encourage you…how you feel and who you truly are. I look forward to sharing my four decades of experience and knowledge to guide you to your awakened life. You will find comfort and support, along with practical and proven strategies. Each person needs reassurance to create a personal vision in their own life. I am here for you to help you define that vision in a way that is consistent with who you truly are. Happiness and peace are aligned with your authentic vision. Together we will develop strategies to enable you to achieve your unique objectives. It’s an exciting journey and I look forward to learning more about how I can guide your vision.